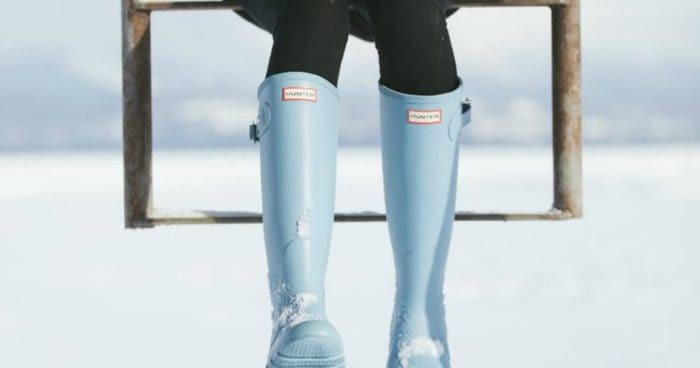 WOW – waste no time heading to 6pm and shop their Hunter Boots Sale! We are seeing boots as much as 60% off. You will want those red shinney ones for the Christmas and Valentine season! 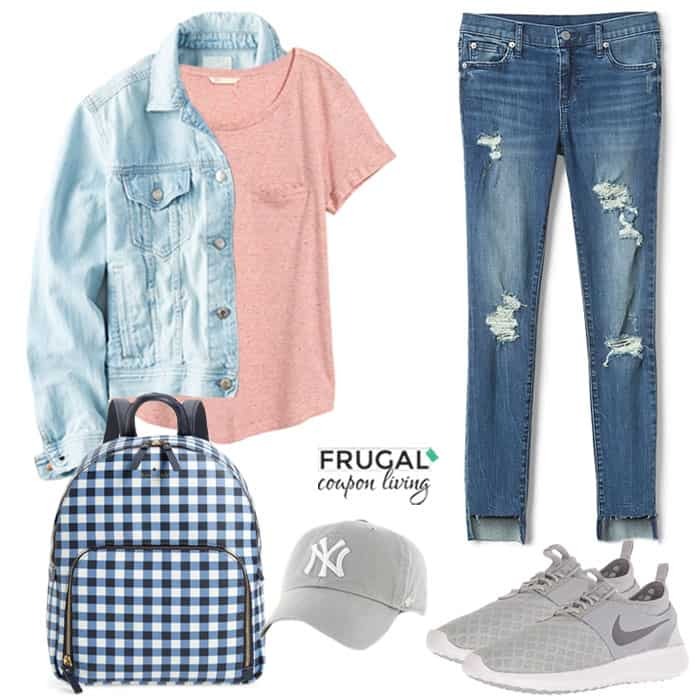 It’s another Frugal Fashion Friday. This week we focus on the Christmas Dress Outfit for all the festivities you must attend after Christmas morning unwrapping. Want some comfort after Christmas morning. Before you head out the door to all your family festivities, put on this loose swing dress in red. We love these over the knee boots, wrap your self up in this blanket scarf, and toss on some sunglasses to hide those early morning eye bags. Our inspiration this week comes from Just Dandy. 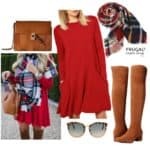 Don’t forget last week’s Frugal Fashion Friday Outfit, the Red Velvet Christmas Outfit – Pin it. 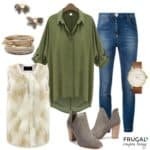 It’s another Frugal Fashion Friday, this week we want to get you ready for a holiday Christmas party! 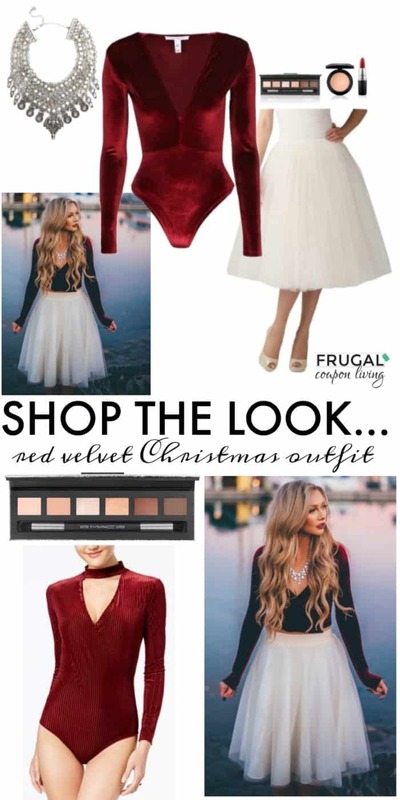 This Red Velvet Christmas Outfit is not only flirty and fun, it is affordable and friendly on the wallet! 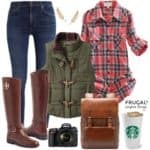 It’s another Frugal Fashion Friday, this week we want to get you ready for a holiday Christmas party! 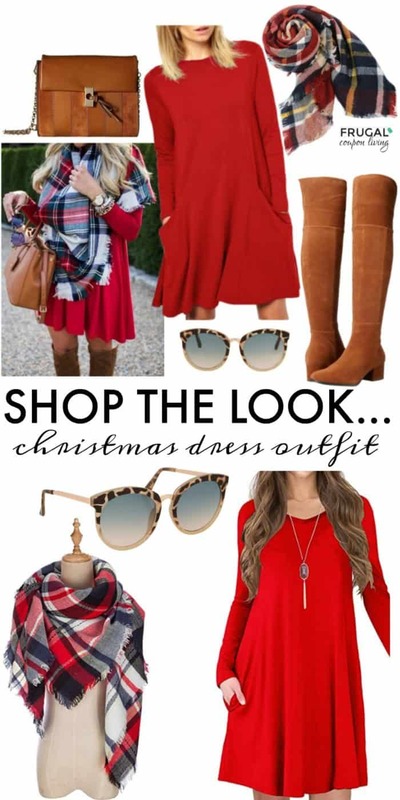 This Red Velvet Christmas Outfit is not only flirty and fun, it is affordable and friendly on the wallet! Enjoy! Our inspiration this week comes from Bliss Tulle. 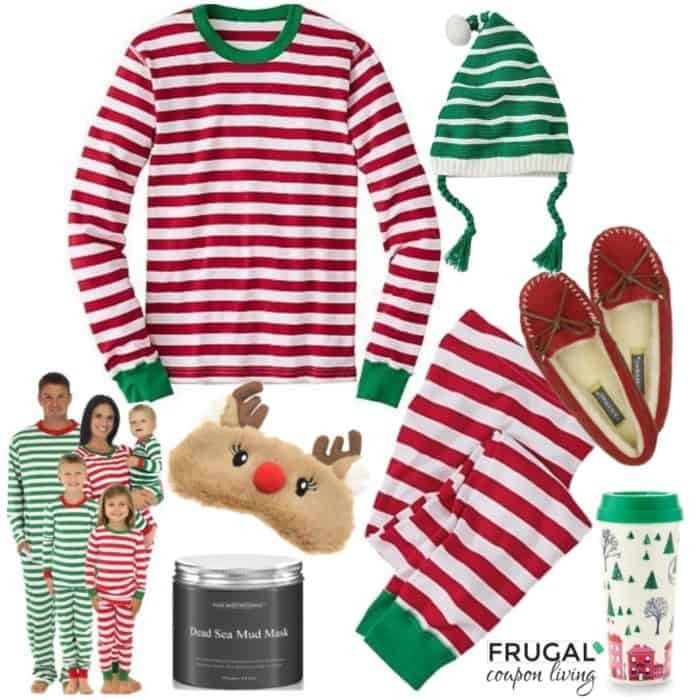 Don’t forget last week’s Frugal Fashion Friday Outfit, the Christmas Morning Family Pajamas – Pin It. I love a good deal at Walmart. 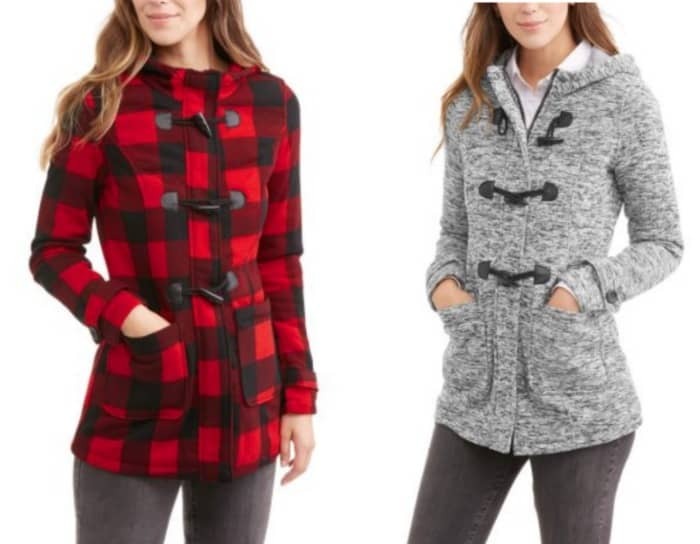 Pick up the Women’s Soft & Cozy Hooded Fleece Toggle Peacoat reduced to $12. from $29.96. They have 4 adorable colors and it looks like the only sizes left are M, L, and XL. Get FREE store pickup (where available) or shipping is FREE on orders of $35 or more. 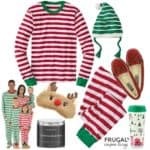 Christmas Morning Family Pajamas – It’s another Frugal Fashion Friday and this time we are dressing up the family. Christmas Morning Pajamas for Men, Women, Kids, Baby and even Pets! It is not often we dress up the entire family. Today we focused on Christmas Morning Pajamas for the entire family. 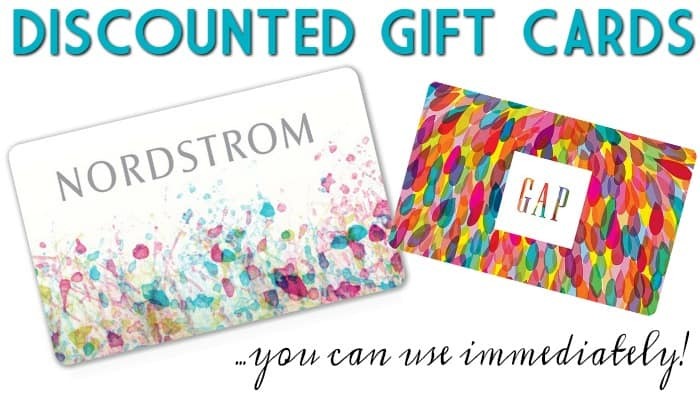 Dress up Mom, Dad, the Kids, the baby and even the family pet! We love all of these style and pattern options. 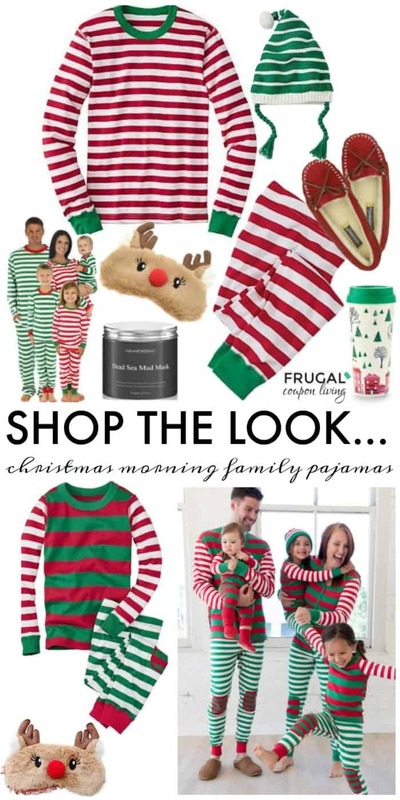 Family Christmas Pajamas – See more styles and prints! 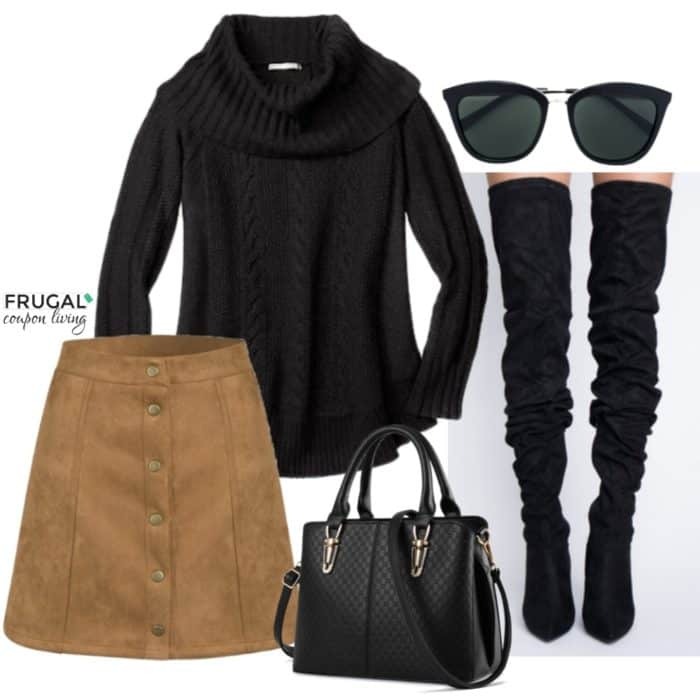 Don’t forget last week’s Frugal Fashion Friday Outfit, the Black and Tan Suede Skirt Outfit – Pin It. 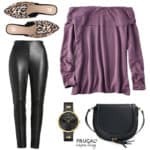 Black and Tan Suede Skirt Outfit – It’s another Frugal Fashion Friday and we have some fall fashion for you. We combined black with tan suede. Welcome December! 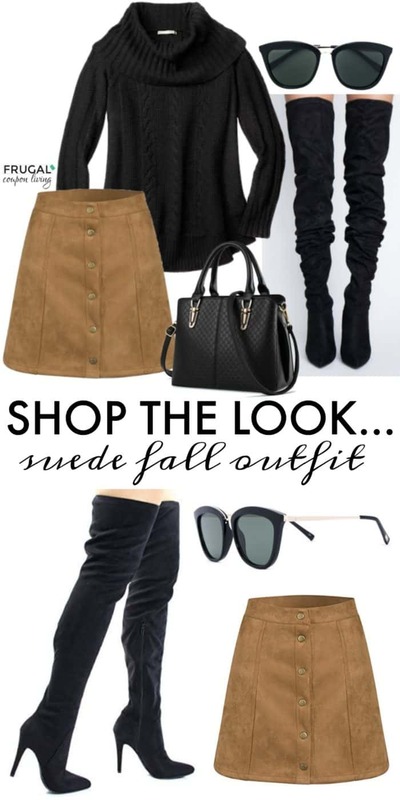 We’ve pair a faux suede skirt and an oversized black sweater to create this fall look. Pair with over the knee boots, a large black satchel and cat eye sunglasses! 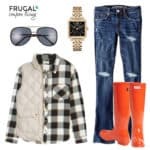 Don’t forget last week’s Frugal Fashion Friday Outfit, the Fall Sweater Dress Outfit – Pin It. I have this coat or one very much like it and I love it. One reason I love it is because it is well made, second it is classic. I also love that red can be worn with black or brown making it very versatile. 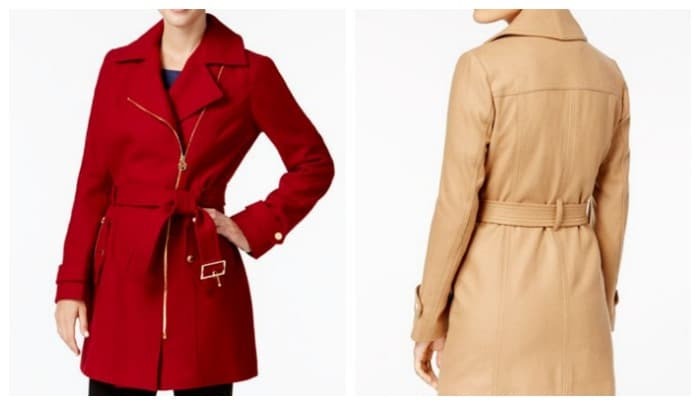 Today pick up the Michael Kors Asymmetrical Walker Coat $99.99 from $275.00. This coat does come in other colors! Besides red, get it in navy, ivory, black, charcoal and camel. It comes in sizes for every body type including XXS all the way to XXL.